Bond is back! With many fans claiming this to be one of the best Bond films ever, Skyfall has handily won the weekend box office. 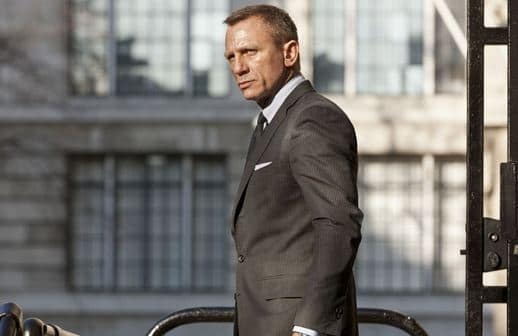 Daniel Craig, Javier Bardem, and Berenice Marlohe took in $87.8 million, making Skyfall the first movie to score over $50 million in its opening weekend since The Dark Knight Rises. The U.S. premiere brings Skyfall's worldwide total to $518.6 million. Wreck-It Ralph made room for Bond this week, dropping from first to second place. The 3D computer-animated feature earned $33.1 million in ticket sales, making its total two-week gross $93.7 million. Dropping from second to third with $15.1 million is Flight. Denzel Washington stars as a pilot who lands a crashing plane in the Robert Zemeckis film, which has taken in a total of $47.8 million. Argo and Taken 2 round out the top five, grossing $6.7 million and $4 million respectively.